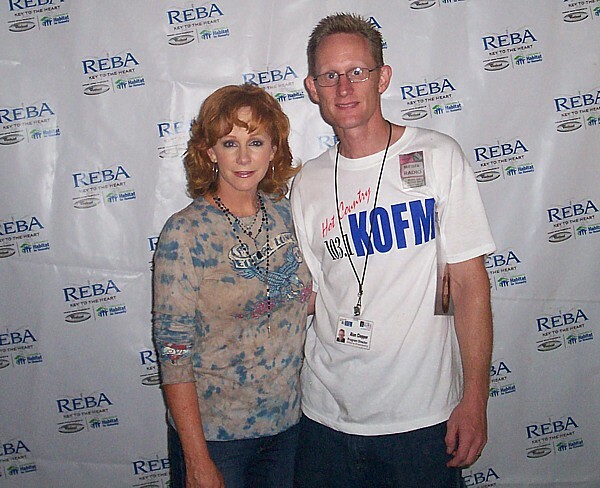 >Oklahoma's "Non-Metro Radio Personality of the Year" for 2012, 2010, 2008, 2007, 2006, and 2005. >National "Small Market Personality of the Year" nominee in 2006. >Radio Ink magazine's "Best Programmer in Radio" in 2008. >New Music Weekly magazine "Program Director of the Year" in 2008. Here are some pics of Alan's favorite moments in radio! Here's where it all began. So long ago, radio was in black and white!!!! 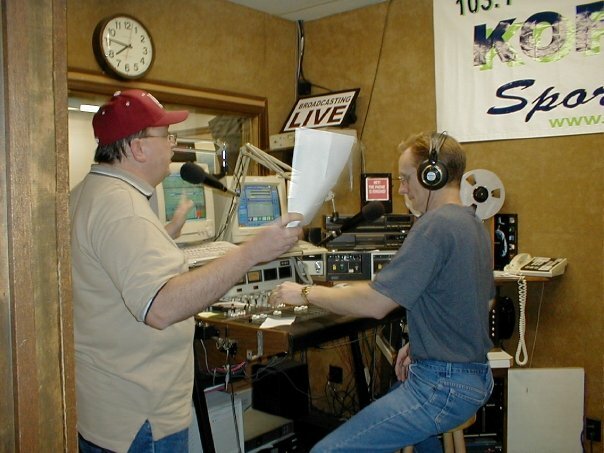 Alan and J. Curtis in the old KOFM studio 1999. Yes, that's me in an F-16 Thunderbird, summer 2000 broadcasting on KOFM. 5 G takeoff, straight up to 15,000 feet in 15 seconds! 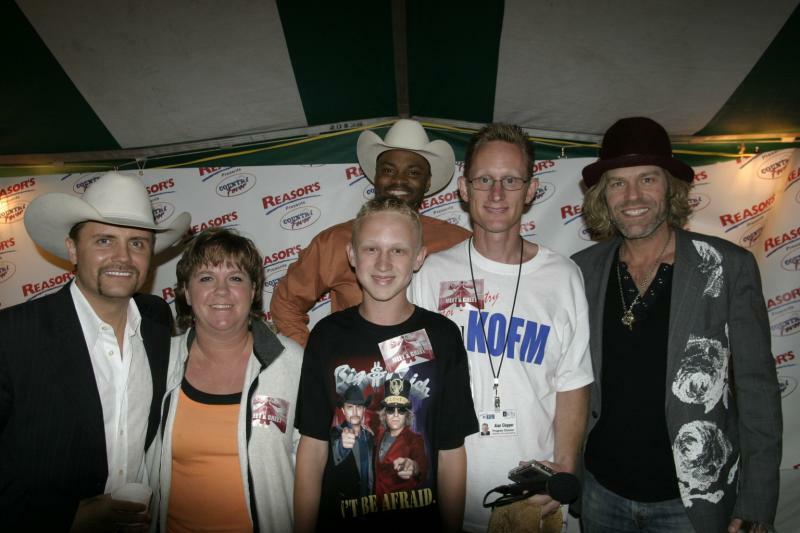 Alan and his family with Big and Rich! 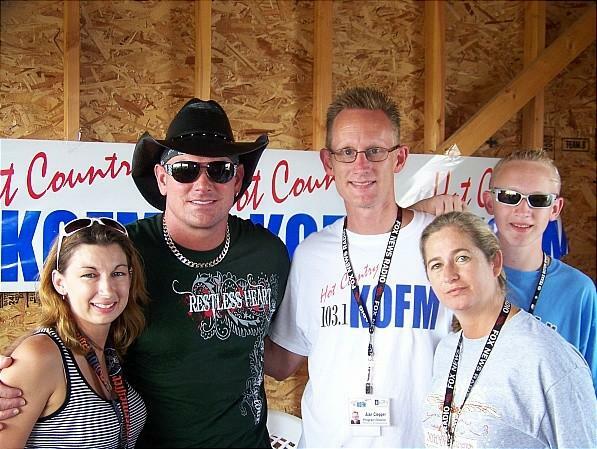 Alan, Lindsey, Cheryl and Brandon with Keith Anderson! 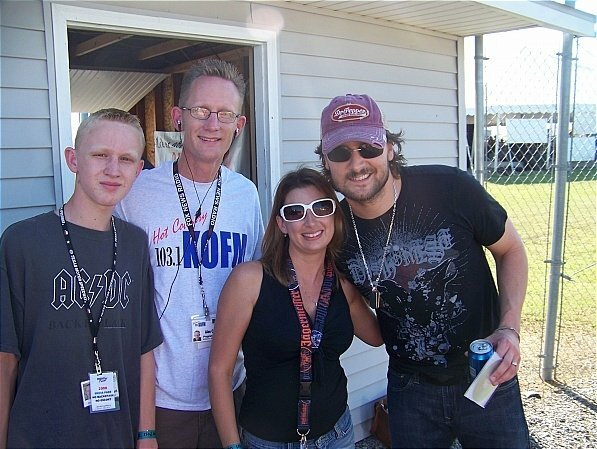 Alan, Brandon, and Lindsey with Eric Church! Remember the big billboard on North Van Buren in 2007? 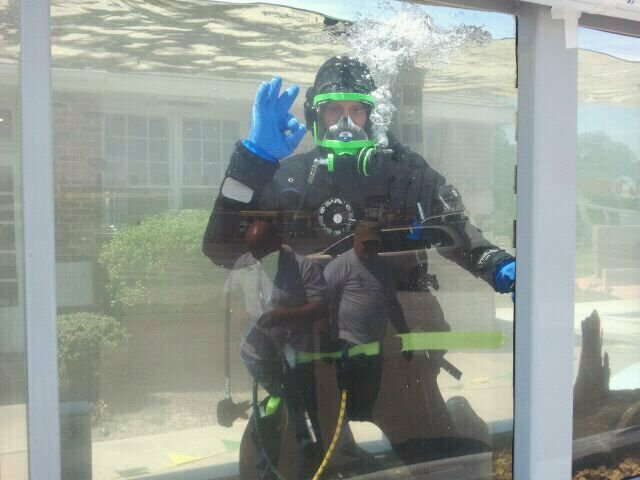 Broadcasting underwater for Make A Wish 2011 and 2012! 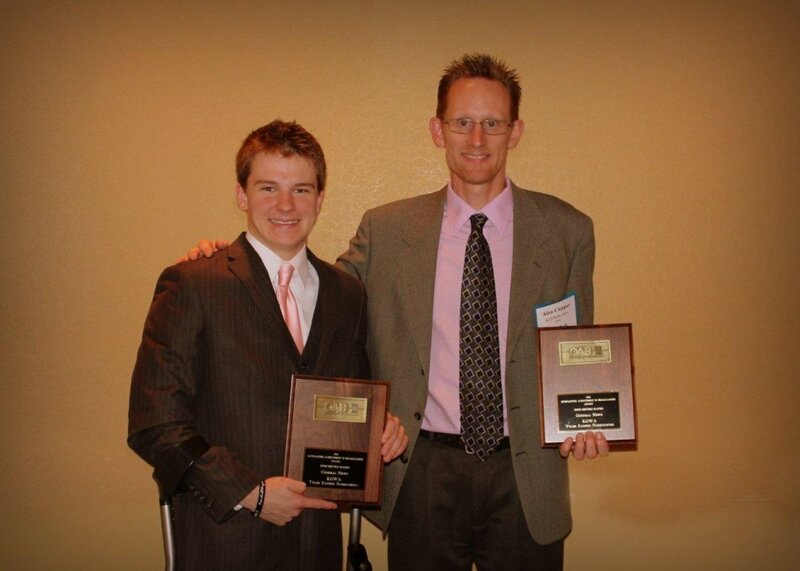 Alan was honored to have Tyler Zander as a guest at the Spring 2012 OAB awards ceremony. Alan won best spot news coverage for Tyler's Homecoming from the hospital! 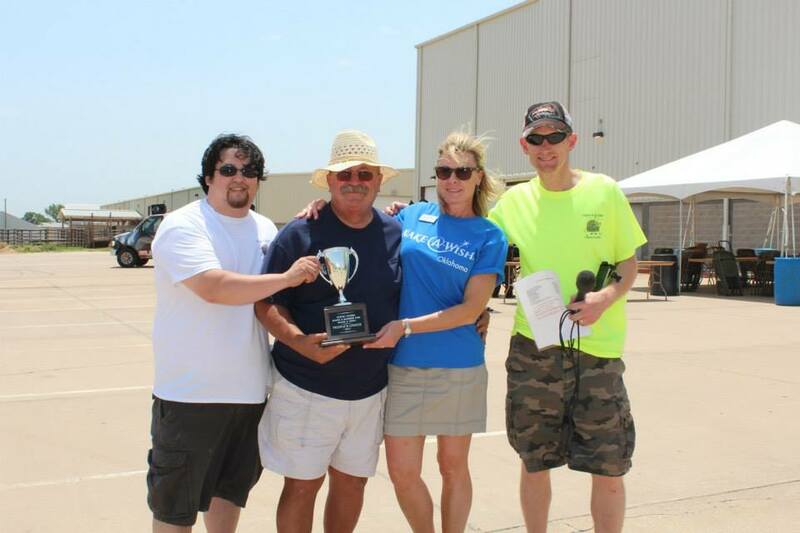 I had the honor to be VAFB 3 FTS Honorary Commander in 2013. Here's Colonal Russel Mack and I before my flight in a T-38. One of the greatest moments of my career! Alan's proudest accomplishment. His son Brandon (KOFM's evening guy). 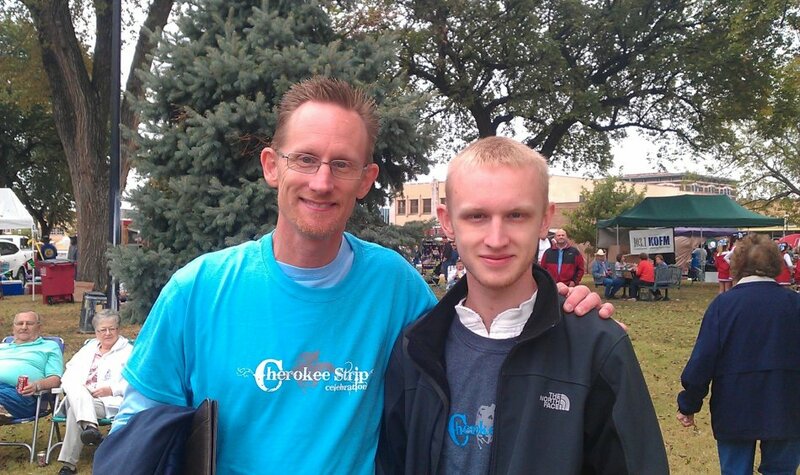 September 2012 Cherokee Strip Celebration! Alan accepting the 2012 Personality Of The Year award at the Oklahoma Association of Broadcaster's convention in Tulsa spring 2013. Make A Wish "Make A Burger" Summer 2013!